A classic knee high lace-up boot with slight toe platform. On our Gloria heel, which is a 3 inch square heel. 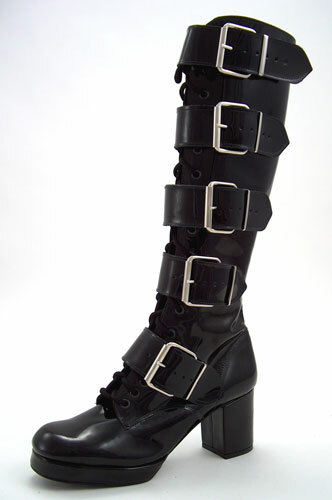 5-straps with buckles. Ideal for comfortable day wear. PLEASE NOTE: F4 is custom made ONLY (unless in stock). Please ensure you order the correct size. Available in 100% REAL LEATHER or 100% VEGAN LEATHER options. Our VEGAN boots are made from 100% animal-free materials.